This Summer, Live Your Language and Experience the World! Sampling the local cuisine. 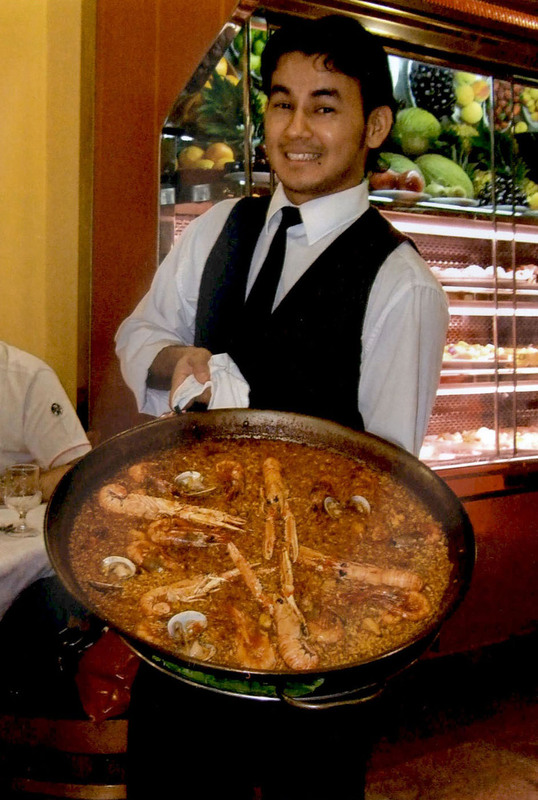 A dish of paella. C689 IUHPFL records. Have you ever dreamed about spending the summer in Mexico? Or of eating paella in Spain, visiting historic sites in France, cultivating a community garden in Chile, or immersing yourself in Japanese culture? For Indiana high school students, that dream can become a reality through the Indiana University Honors Program in Foreign Languages for High School Students, also known as IUHPFL. 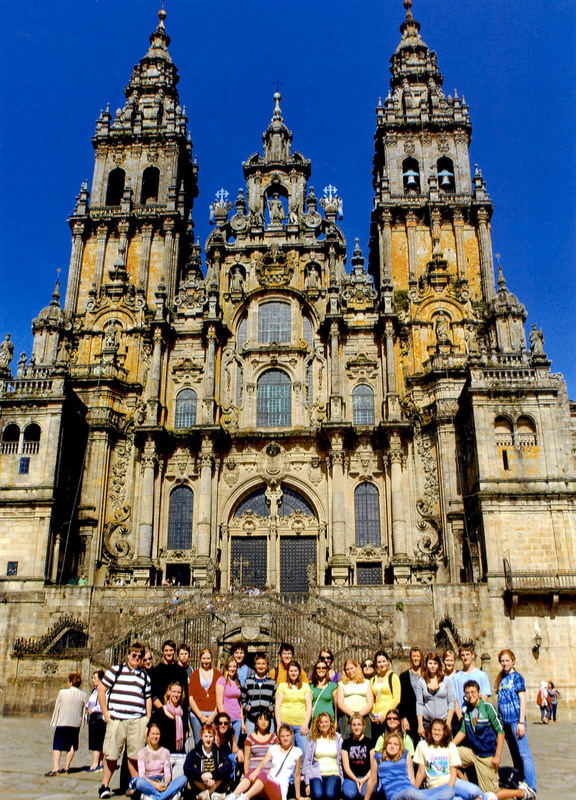 The IUHPFL is a summer study abroad program specifically for high school students from Indiana. It was started in 1962 as a way to encourage the study of foreign languages and knowledge of other cultures among pre-college age students. When the program began, it operated three sites, one each in France, Germany, and Mexico. This summer, the program offers instruction in five languages – Chinese, French, German, Japanese, and Spanish – and students can travel to one of twelve different cities in eight countries. For five to six weeks in June and July, students study a foreign language and live with a host family. They are encouraged to engage with the local culture as much as possible: besides their host family, there are excursions, lectures, activities such as sporting events and choir, and community engagement activities, such as working with local senior citizens. The Program’s records spanning 1963-2017 are now at the Archives and a collection description can be found on ArchivesOnline! Teaching materials within the collection show that students work hard and learn a lot, but the photographs, articles, and clippings also show how much fun they have and how much they interact with the local culture. One very charming aspect of the collection is the group of student projects. As a reflection on their experiences, students in the different cities put together booklets with comments about what they learned about their host city and what they did during the program. In these booklets, you can find essays, poems, drawings, recipes, and heartfelt thank you letters to their host families. 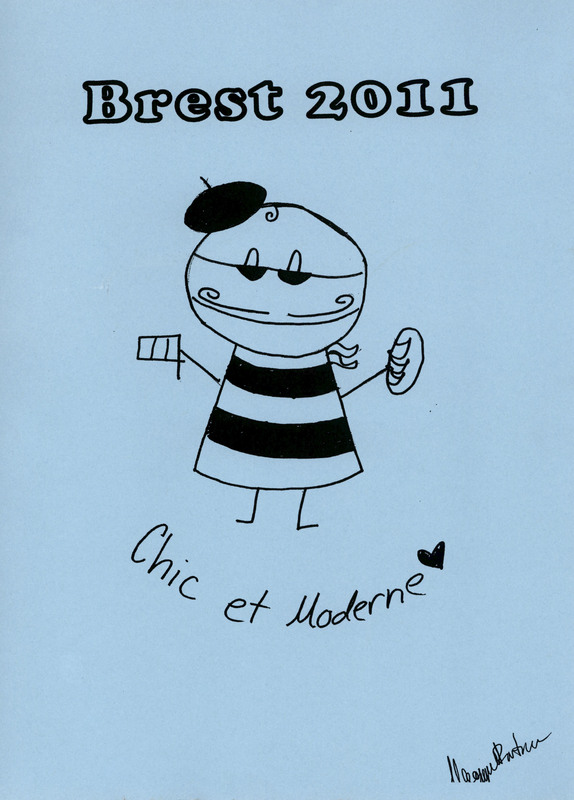 The 2011 booklet for the program in Brest, France, contains essays by the students about subjects such as the outings they went on with their host families, what they learned about Brest and World War II, and their experiences with French food, including one student’s love for Nutella milkshakes! Student project booklet from the program in Brest, France, for 2011. C689 IUHPFL records. A video made by the IUHPFL office shows several students talking about how the study abroad experience was one of the best of their lives, and other materials show that the sentiment was mutual. Newspaper clippings from foreign newspapers, as well as a CD with an interview from a radio station in Spain show that the host cities were equally excited about their foreign guests from Indiana. Even if you’re well past high school age, the records and activities of the IUHPFL are a reminder to, in the words of one of their promotional posters, live your language! In other words, live your best life and experience the world around you. Seize the day! Carpe diem! Interested in seeing the records? Contact University Archives staff!